Thorpe's Body & Corvette Shop has the capability to perform full auto restorations from antique auto restorations to custom muscle cars. Our award-winning experienced staff position us to perform the highest quality restorations, from muscle car restorations to classic car restorations to your modern car or truck. All facets of body repair and finishing, interior work and engine will be completed to the meet or exceed your expectations. 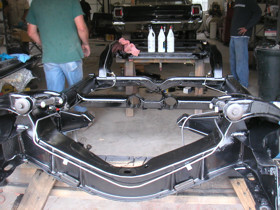 Thorpe's Body & Corvette Shop provides complete body-off chassis restoration including transmission, engine, suspension, and electrical wiring. 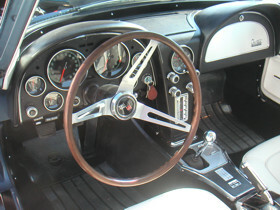 With our experience and expertise with classic cars, especially Corvettes, Thorpe's is fully qualified and certified as one of the leading authorities in classic car restoration. 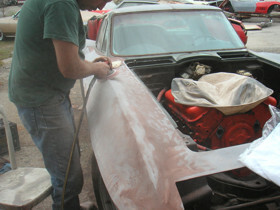 Thorpe's is one of the few shops that use epoxy primer and paints to insure long-lasting protection to the frame. To perserve the car's integrity, Thorpe's does all of their own Cadium, Black Oxide, Gold, & Iradite plating to keep all of the original components together. Our body shop is second to none. Thorpe's award-winning staff of experienced auto body specialists provide excellence in quality of repair and restoration for any make or model. Thorpe's is especially skilled at Interior restoration. The team is experienced in all aspects of Interiors including upholstry, electrical, flooring, and dash instrumentation. 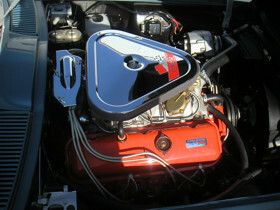 The team is especially skilled in returning classic cars to their once pristine glory. While restoring any vehicle for better appearance, the performance of the vehicle is equally important. Thorpe's rebuilds engines from the block up. The team will return your modern or classic car to its peak performance.